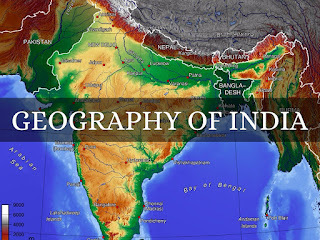 India has a coastline of 7,517 km (4,671 mi). The highest mountain in India is Kangchenjunga having height of 8,586 m (28,169 ft) , which ranks third in the world after Mount Everest and K2 (Mount Godwin Austen).It lies partly in Nepal and partly in Sikkim, India. The highest mountain entirely within India is Mount Nanda Devi having height of 7,816 m (25,643 ft) and is situated in Uttarakhand. Northest point is near Indira Col, Siachen Glacier. India is in de facto control of this region of Kashmir; the Indian claim is disputed by Pakistan. Siachen Glacier region in the eastern Karakoram range in the Himalaya Mountains is the highest battleground on Earth. Lowest lying region in India is Kuttanad ( −2.2 m / −7.2 ft ) in Alappuzha district of state of Kerala in South India. Indira point, a village in the Nicobar district of Andaman and Nicobar Islands is the southernmost point of India's territory. But the souther point in Main land is Cape Comorin near Kanyakumari in Tamilnadu. It is the southernmost tip of peninsular India. Kibithu in Anjaw district of Arunachal Pradesh is the eastern most point of India. Khardung-La in the Ladakh region of the Indian state of Jammu and Kashmir is at an altitude of 18,380 feet is the highest motorable pass in the world. The Siliguri Corridor, or Chicken's Neck, is a narrow stretch of land, located in the Indian state of West Bengal, that connects India's northeastern states to the rest of India. It is narrowed sharply by the borders of Bhutan, Nepal and Bangladesh. It is about 200 kilometres in length and 20 to 60 kilometres in width.